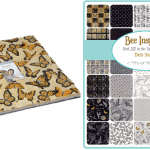 Bee Inspired Quilt Kit “There is so much inspiration in nature! From the intricate patterns on butterfly wings to the geometric structure of a honeycomb, nature truly provides an endless supply of ideas. 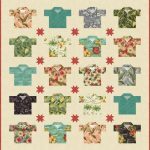 This group has combined the love of nature with pen and ink drawings, hand-lettered quotes, and modern colors to provide a rich, pretty look to the theme of nature and bees. …….” Finished size is approx. 67″ x 67″. 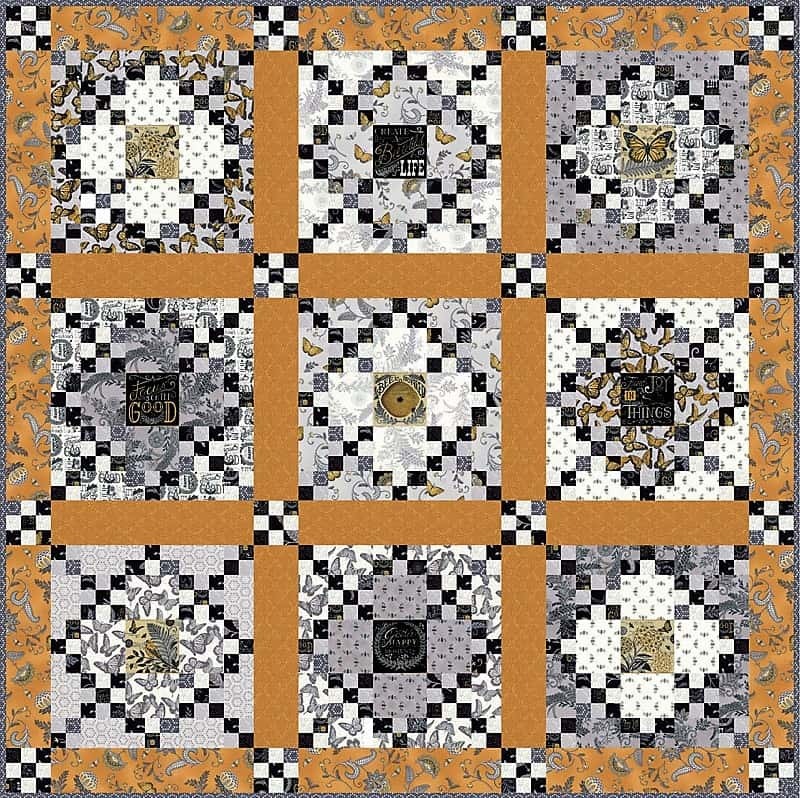 This kit contains the pattern and all the fabric that you need to make the quilt top and the binding. Batting and backing not incl. All fabric is 100% premium quality Moda fabric.